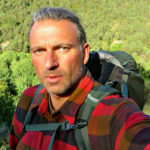 I am often asked what gear and clothing I prefer for my adventures and expeditions and rewilding activities. I have never been a gear junky, and even less an ‘high tec’ addict. I like my gear and garments to be rugged and strong, being made out of natural and eco-friendly materials whenever possible. I also like them to be beautiful, but of course that is very subjective. In general I prefer the ‘traditional’ look over the modern one. Dave and Kie from Lure of the North do much more than guiding winter expeditions. 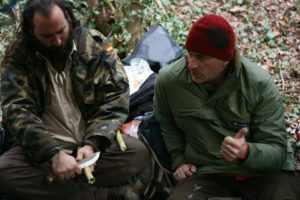 They are passionate about all aspects of traditional winter camping, wilderness travel and northern culture, but their desire for good quality winter clothing and equipment has led them to now produce much of this themselves, which has led to a related passion for crafting and constant gear improvements. They made me a phantastic 10oz cotton anorak for my Kungsleden Dogsled expedition in 2016. This original field-tested design and material that has accompanied many winter explorers for nearly a decade and well over a thousand kilometres of winter travel. It is a durable, reliable piece of gear that will keep you warm and comfortable. If you want to use your anorak as a personal snow shelter while crashing through snow-laden spruce boughs in search of firewood, this item is for you. If you want the lightest, smallest option available and will use it primarily for wind protection on the open lakes, or on cleared trails then you should look at the lightweight 5oz canvas anoraks. Why Cotton? Modern waterproof/ breathable fabrics wick moisture through small pores between the material fibres. Cotton wicks moisture right through the fibres themselves, making for a much more breathable fabric. Lure of the North uses a naturally windproof tight-weave canvas, which they pre-shrink to tighten the weave further. Their anoraks are sized large to protect the large muscles of your thighs, and accommodate lots of layers underneath – even a down jacket for those frigidly cold lunch stops! Filson is one of my favourite clothing brands, because it’s tough clothing and it has that, what my sons call ‘old school’ look. In 1897 C.C. Filson began outfitting prospectors headed for the Gold Rush with apparel and goods strong enough to contend with the toughest spots on earth. Today, Filson is a global manufacturer, wholesaler and retailer constantly developing new products to serve those who refuse to stay indoors. With company headquarters located above its factory in Seattle, Wash., Filson remains committed to producing unfailing goods that live up to its founder’s promise: “We guarantee every item purchased from us. No more, no less. Your satisfaction is the sole purpose of our transaction.” I earn two 100% wool shirts of this American brand, but I hope to be able to use much more of their gear soon. Filson has retail locations in Seattle, Portland, New York, Minneapolis, and London. I was happy to find Loow because they are one of the few remaining merino wool brands keeping it 100% merino, this while others have beenlowering the percentage of merino, mixing it up with other more ‘technical’ materials ‘for better performance. I don’t want ‘better performance, I want more natural. LOOW creates life proof versatile equipment, good for any climate. This product is built for performance, conceived in a subtle and stylish design, which makes for a highly comfortable T-shirt. Fitting for all environments and able to meet requirements across all conditions, our premium merino wool gives an odour-free product. Loow’s products are constructed from the finest, ethically sourced merino wool imported from New Zealand. The wool-fabric used for this T-shirt allows for premium flexibility and a lasting fit. All LOOW equipment is 100 % 17,5u merino wool. We try to live, walk and run barefoot as much as possible. But of course sometimes you just need some protection. In general I use minimalist shoes, when the temperatures drop enough, I go mukluks! healthiest way for you and your feet to be. An ultra thin puncture resistant sole allows your feet to be as millions of years of evolutionary design intended – Barefoot! 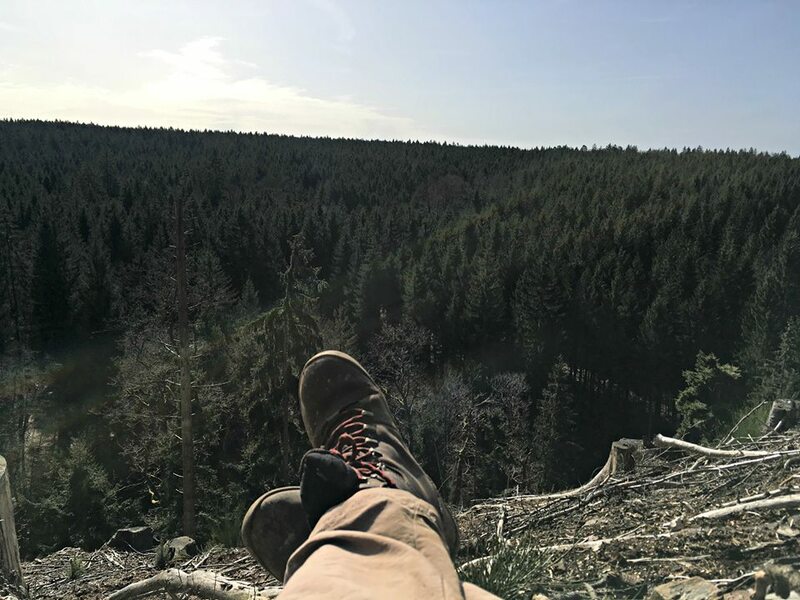 – Tracker , a barefoot hiking boot made from high quality leather. It is designed for wild and rough terrains, with our new firm ground sole. This minimalist walking shoe’s waterproof lining and thermal protection keep feet protected and ready to explore nature. – Primus, Vivo’s lightest and leanest barefoot exercise shoe, discover natural movement and put your feet in control for every road run, walk and workout. The unlined vegan upper and super-thin sole of this sneaker lets you train hard while working on your technique. 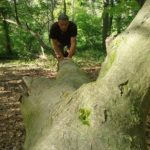 For people living in Belgium, there is a Vivobarefoot store in Brussels now. by Arctic aboriginal people, including the Inuit and Yupik. 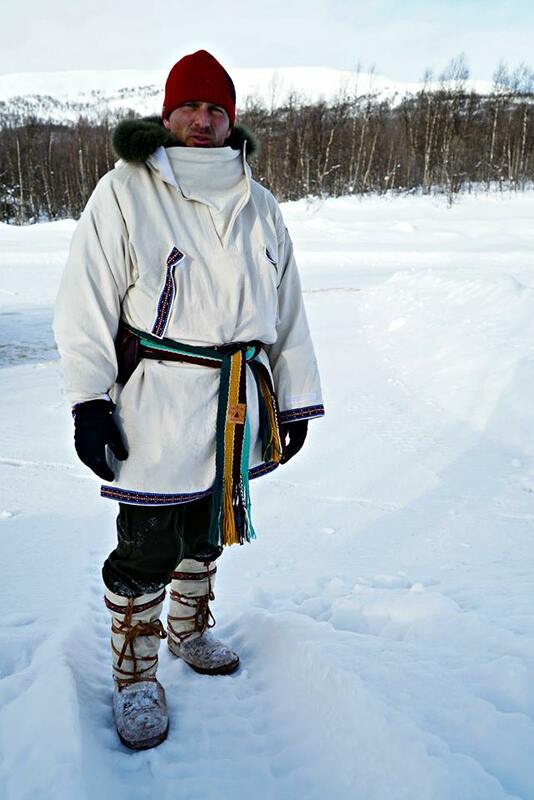 The term mukluk is often used for any soft boot designed for cold weather and modern designs are often similar to high-top athletic shoes. The word “mukluk” is of Yupik origin, from maklak, the bearded seal, while “kamik” is an Inuit word. In the Inuipiaq language the “u” makes an “oo” sound, and so the spelling “maklak” is used with the same pronunciation. 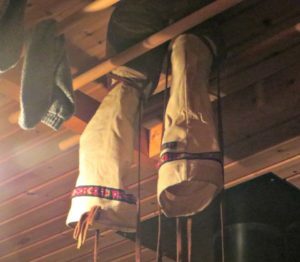 Lure of the North organises workshops, making your own mukluks, or they can make them for you. Another company is Steiger Mukluks. Bearpaw‘s CEO Henry Bodnik was very kind to help me choose a bow for my first steps into archery. Together we decided for the KIOWA recurve bow. 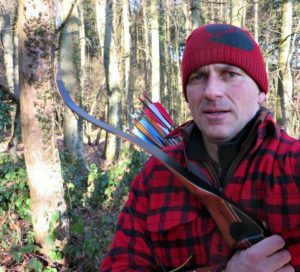 It’s a perfect bow for hunting because of its power and short length (only 52 inches long, approximately. 132 cm). ”. It can be drawn in a soft and comfortable way up to 30 inches. The Kiowa is a handy companion in difficult terrain, with an extraordinarily fast and swift shooting performance. 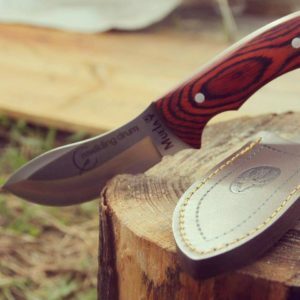 The Muela companies were started by Eladio Muela León in the mid 1950s, encouraged by the great success of his handcrafted 38-pieces folding knife with the German engineers of the Empetrol refinery, where Eladio was working at the time. These same engineers ordered knives from him to take back to their country and this, together with his business spirit, were the stimulus he needed to set up his first handcrafted folding knives and knives factory, employing seven people. The profit obtained was invested in machinery to make the factory more productive, so that in a short time it was enlarged and located in Argamasilla de Calatrava, in Ciudad Real. The current installations of Muela knives, in Argamasilla de Calatrava, occupy an area of more than 5,000 m2 and they are equipped with the most modern manufacturing and machining systems, producing more than 350,000 units per year, of which 70 % are exported to more than 50 countries in the five continents. SIOUX: the skinner Knife SIOUX-10R us a full tang knife with pressed coral wood scales. (Handle 110 MM (4 3/8″) – Blade 105 MM (4 1/8″) – Weight 245 GR) Muela was so kind to insert the Rewilding Drum logo in the blade. I have two Frost River Isle Royale Bushcraft Packs kindly offered to me by Absolut-Canoe.de. These packs are built to carry big or small loads. 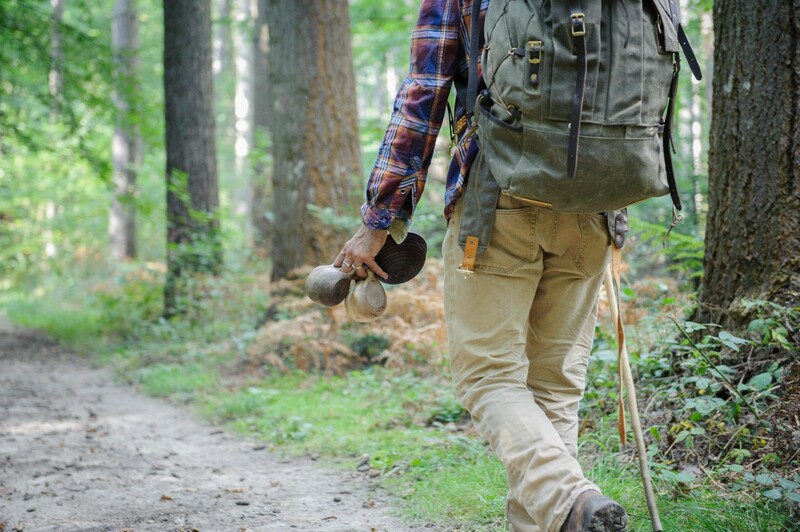 They blend classic materials and construction with updated features for modern classic backwoods adventures. With lots of organization in the form of pockets, attachments and straps, there’s space to keep gear where it needs to be. Plus, there’s plenty of capacity in the tall, narrow pack body. So, these are a few of the items I use when I am out there, Now it’s your turn to let me know what you use! Thank you for your comment Christopher. So show us what you use, of course always willing to learn ! Thanks for the mention – we are a small company, but with satisfied friends spreading the word, we continue to grow. Best of luck!